I intentionally have limited experience with the recent onslaught of Windows phones. 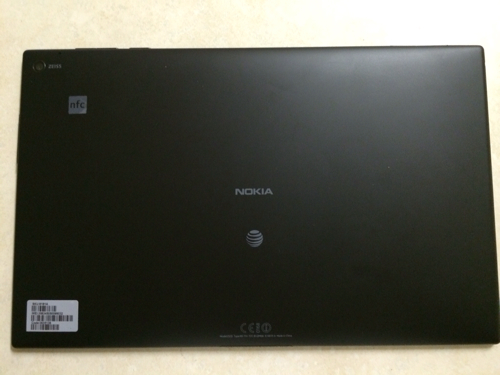 Mostly due to lack of apps, but I was still intrigued when they released their first Windows® RT 8.1 tablet so when AT&T sent their version over for review I was excited to try it out. Off the cuff the Nokia Lumia 2520 doesn’t stray from the Nokia Lumia overall form factor, it’s bigger with a 10.1 screen – as it should be. The AT&T version only comes in black which some may find disappointing considering the Nokia Lumia line of devices is very colorful, however the all black matte finish gives it a type of upper echelon vibe. BATTERY POWER – Up to 11 hours of battery life and fast charging allows you to charge to 50% in 40 minutes. 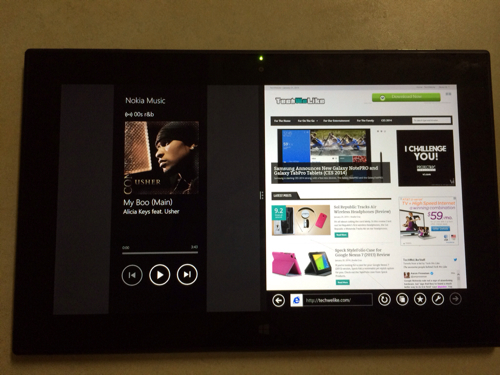 Nokia Lumia 2520 comes with some neat preinstalled apps to keep you entertained and let your creativity flow. Nokia Video Director – adds effects, filters and templates to your videos. Nokia Music – lets you stream music for free with no subscription, no sign up and no app to download. Using the Nokia Lumia 2520 is as expected from a Windows RT tablet. You can share the tablet using multi user support and not have to change your settings or worry about security of your information. The split screen mode would have to be my favorite and it’s so simple – just open the app you would like to use then swipe right from the left edge of the screen to see all currently running apps – then drag and drop another app to the left or right of the screen and voila you’re able to use two apps at once. My only complaint would be that this doesn’t come with a keyboard. In order to be truly productive in my opinion and make full use of Office 2013 which comes preinstalled on the 2520 I can’t see using it to it’s full potential without one. For now you can use it with a bluetooth keyboard as a lot of us already have in our possession as the Nokia Power Keyboard will be available soon for $150. The regular price for the Nokia Lumia 2520 is $499.99, but on the AT&T site they are running a few promotions allowing you to purchase for as low as $299.99.